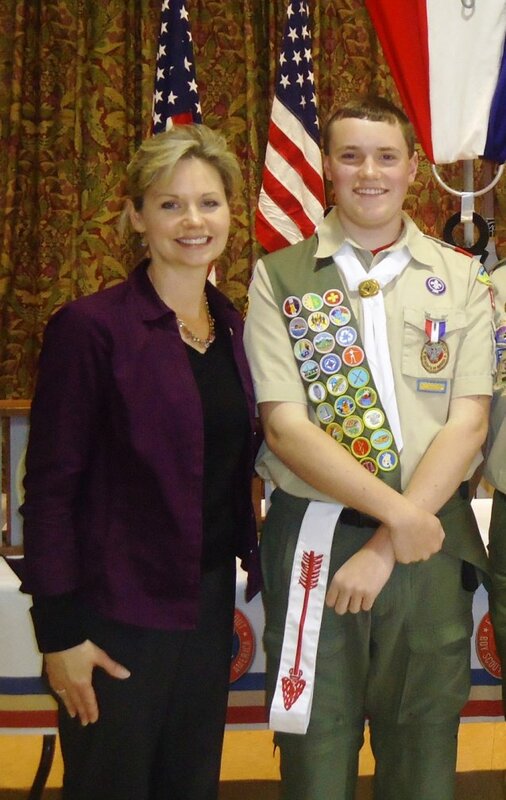 Suffolk County Legislator Sarah Anker recognized Eagle Scout recipient Michael C. Kelly from Troop 161 of Shoreham. His Court of Honor was on April 20th at St. John the Baptist Roman Catholic Church. Wading River, NY, April 2013 – Suffolk County Legislator Sarah Anker recognized Eagle Scout recipient Michael C. Kelly from Troop 161 of Shoreham. His Court of Honor was on April 20th at St. John the Baptist Roman Catholic Church. Through Michael’s hard work and determination, he completed numerous requirements for his Eagle Scout Award. His project consisted of laying down sod, planting a decorative sod scape, and placing down mulch at the Rocky Point Fire Department’s 9/11 Memorial. The Elder Law Office of Brian Andrew Tully, PLLC Becomes Tully & Winkelman, P.C. Subject: LongIsland.com - Your Name sent you Article details of "Legislator Anker Honors Eagle Scout Michael C. Kelly"